Did you enjoy the caterpillar stretching? It’s a fave of mine too. 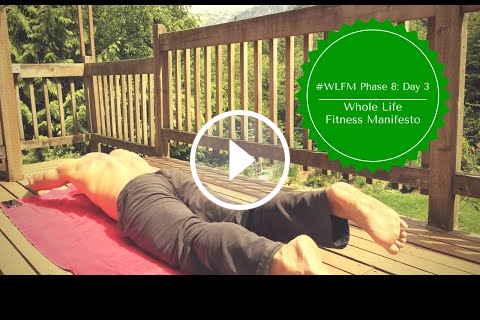 The #WLFM isn’t just about physical fitness, it’s also about your emotional and mental fitness. I spent over a year fine tuning the 30 minute ritual before writing the book, and based on the 1000’s that have completed their own 28-day challenges, I know it can work for you too. Embrace your daily 2% and make it your own. Walking with your head held proud and making eye-contact, offering up a smile to those you meet. Believing YOU are AWESOME, period. Track your daily and weekly progress in the chart provided here. That’s it. Get after it. Remember that week 1 is about creating some new habits and both taking stock and recognizing where some of our challenges arise from. Be mindful of your choices and actions, and recognize a simple accomplishment at the end of each day and share it with the Facebook group. 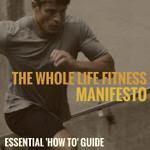 The following is a reference guide to link back to whenever you need some help with exercise movements, mindfulness and personal development info, as well as some motivation or clarity – it also contains the weekly tracking sheets to help you keep on track. These are great accountability tools and I highly recommend using them daily. Links to all exercise videos can be found in the resource guide or by clicking the below exercise video links. WATCH these videos as they explain how to do the movements correctly as well various scaled versions. Take note to take your time and not rush these movements. Feel the muscles activating and releasing. Final score is total amount of reps completed for the first 2 movements completed in the allotted 15 minutes. 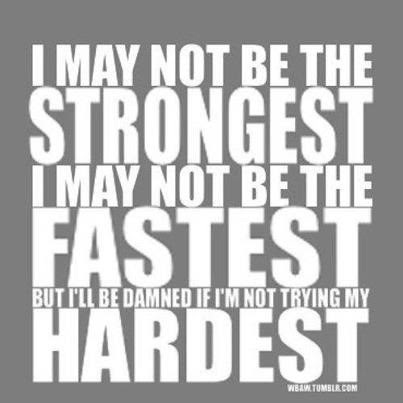 No judgment, everyone has a starting point, so do your best to keep moving and do each movement to the best of your ability, striving to your limit. Congrats again for embarking on this journey. Here’s to achieving greater happiness and health over the coming 28-days. Hoorah!!! As requested, here’s an equipment based option for those that have access to gear. Please note, there are no videos or instructions for these supplemental workouts. Be smart, keep loading to what you can handle, listen to your body and only push yourself as far as you feel comfortable. Achieving a “FUN”ctionally Fit Life through Encouragement, Education and Community. Join the tribe!